Finally! Since the dawn of floating apps (which was like, what, three months ago?) 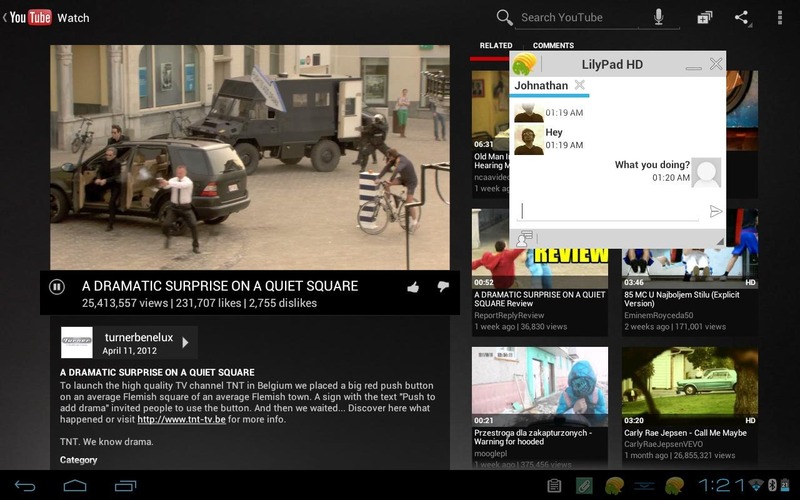 this is the one that I've hoped for: a chat client! 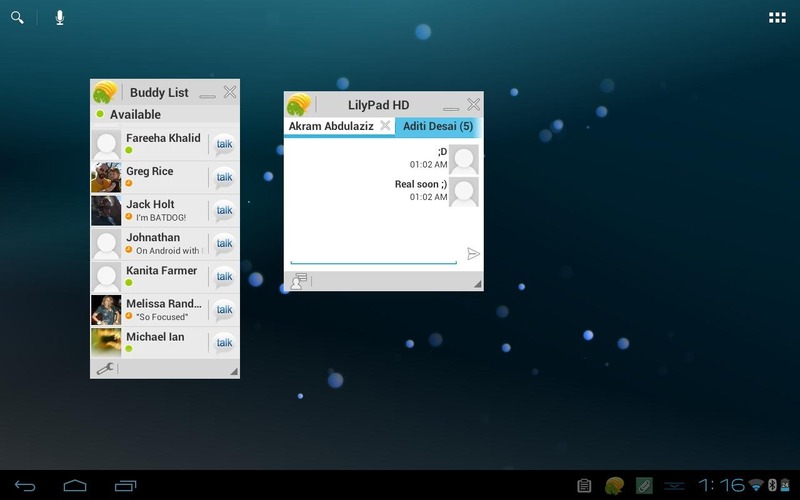 Brought to us by the Tablified dev team, LilyPad HD finally makes it possible to rid yourself of the full-screen chat client on your tablet for something far more practical. 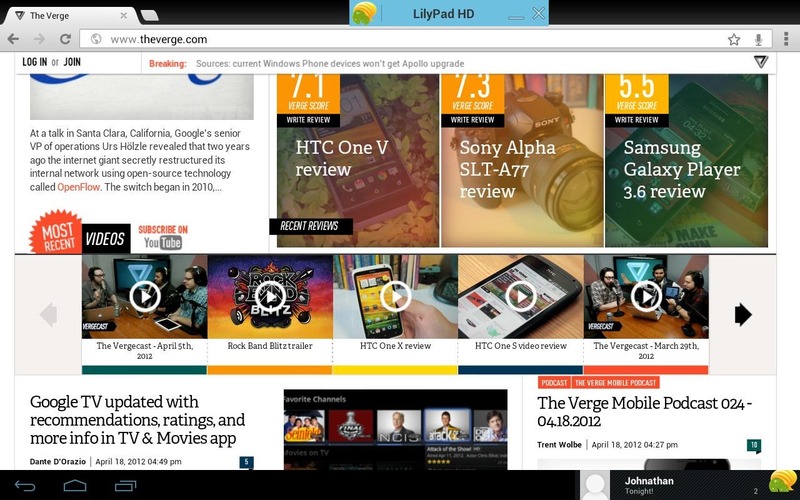 Like other floating apps, LilyPad offers basic features needed for an always-on-top app, like quick-hide mode, resizable windows, and even tabs for chatting with multiple people without having a slew of small windows taking over the entire screen. 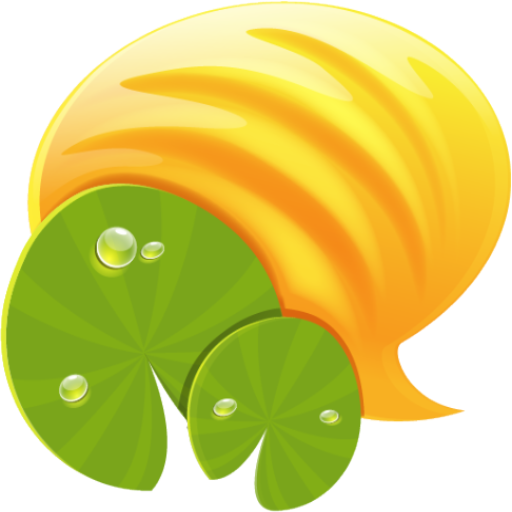 At the current time, the app costs $1.49 and only has support for Google Talk. However, the developer is working on support for other services, like Facebook, MSN, Skype, and Yahoo; all of which will cost an addition 0.99c (per service) via in-app purchase once they become available. Between this, OverSkreen, AirTerm, and AirCalc, we're well on our way to having a full suite of useful floating apps.